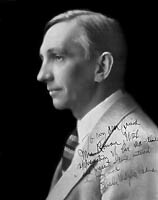 Charles Wakefield Cadman (1881-1946) is another unjustly forgotten composer. Cadman’s musical education, unlike that of most of his American contemporaries, was completely American. Born in Johnstown, Pennsylvania he began piano lessons at 13. Eventually, he went to nearby Pittsburgh where he studied harmony, theory and orchestration with Luigi von Kunits and Emil Paur, then concertmaster and conductor respectively of the Pittsburgh Symphony Orchestra. This was the sum of his training. Cadman was influenced by American Indian music and traveled throughout the American West to make cylinder recordings of tribal melodies for the Smithsonian Institute. He learned to play their instruments and later was able to adapt it in the form of 19th century romantic music. He was to write several articles on Indian music and came to be regarded as one of the foremost experts on the subject. But his involvement with the so-called Indianist Movement in American music made it difficult for his works to be judged on their own merits. His early works enjoyed little success until the famous soprano, Lillian Nordica, sang one of his songs (From the Land of Sky Blue Waters) Cadman eventually moved to Los Angeles where he helped to found, and often was a soloist with, the Hollywood Bowl Orchestra. He wrote the scores for several films and along with Dmitri Tiomkin was considered one of Hollywood’s top composers. But Cadman, first and foremost, was a serious composer who wrote for nearly every genre. The Legend of the Canyon for Violin and Piano dates from 1920 when Cadman was at the height of his fame. It was dedicated to the famous violinist Fritz Kreisler. Cadman subtitled the work, ‘Romance’ and one can only surmise from the lovely melodies that it conveyed lovers amid the beautiful scenery of the American West. The work achieved almost instant popularity and appeared regularly on recital programs up until the Second World War. It makes an excellent choice where a short work is required but also makes a superb encore. Long out of print, we are pleased to make this fine work available again.